A Mind Of Her Own? : FAVORITE PROJECT FOR 2009! 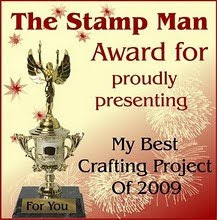 We were asked to showcase a favorite project for 2009 on The Stamp Man blog hop. After looong toiling over this I've decided that these will have to do. 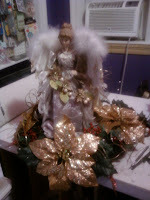 Same project just different colors oh one has lights! 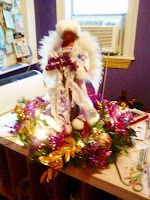 The project I chose were angel centerpieces I made as christmas gifts to my son Kaleel's first grade teachers. He has two! Hope you enjoy them, everyone at the school did and wanted one!!! 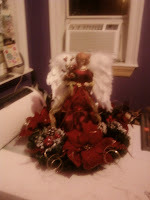 3 - styrofoam bricks cut to fit the insides of the angels base for support and stability. I will have close ups in a post below. Happy New Year everyone!!! Thanks for stopping by. I'm not surprised everyone wanted one, they're stunning!!! Fabulous creations bet the teachers were well pleased with them. As Sarah said, I'm not surprised that everyone wanted one either, they certainly are stunning. Lucky lucky teachers, you really spoilt them! They must have taken your a lot of time and thought. 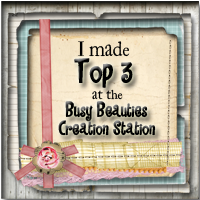 Thank you for visiting us and for joining in with the blog hop and awards. Gorgeous creations, not surprised everyone wanted one. 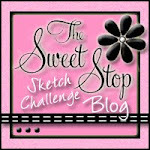 Thanks for joining us in the blog hop and awards.